Only with difficulty did Saint Gregory survive the loss of his brother and guide. 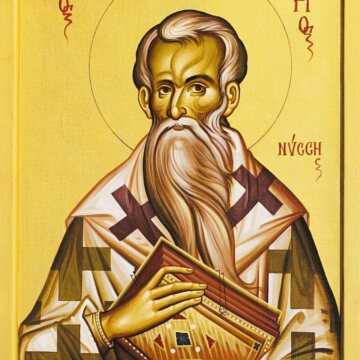 He delivered a funeral oration for him, and completed Saint Basil’s study of the six days of Creation, the Hexaemeron. 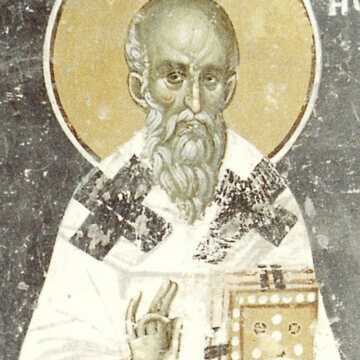 That same year Saint Gregory participated in the Council of Antioch against heretics who refused to recognize the perpetual virginity of the Mother of God. Others at the opposite extreme, who worshipped the Mother of God as being God Herself, were also denounced by the Council. He visited the churches of Arabia and Palestine, which were infected with the Arian heresy, to assert the Orthodox teaching about the Most Holy Theotokos. 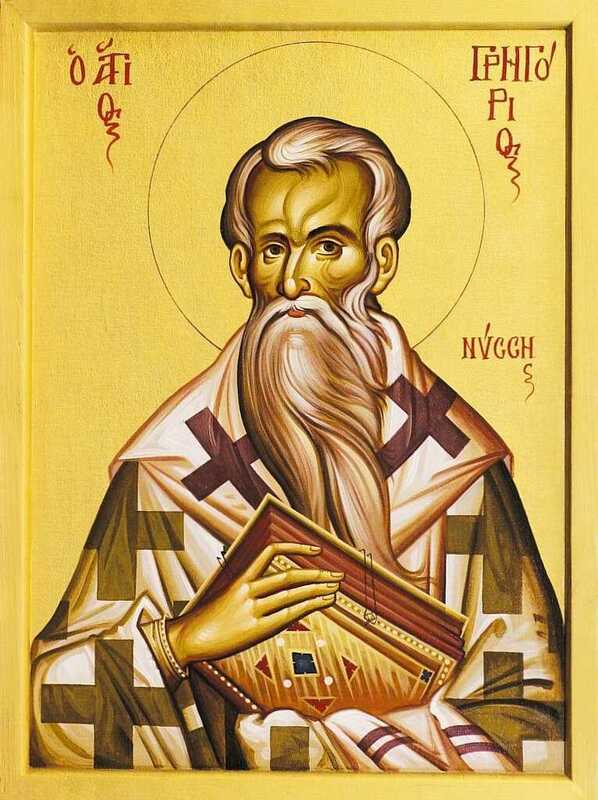 On his return journey Saint Gregory visited Jerusalem and the Holy Places. Saint Gregory is known in history as one of the most profound Christian thinkers of the fourth century. Endowed with philosophical talent, he saw philosophy as a means for a deeper penetration into the authentic meaning of divine revelation. Saint Antipas was born in 1816, in Calapodeşti village, today Bacău county. 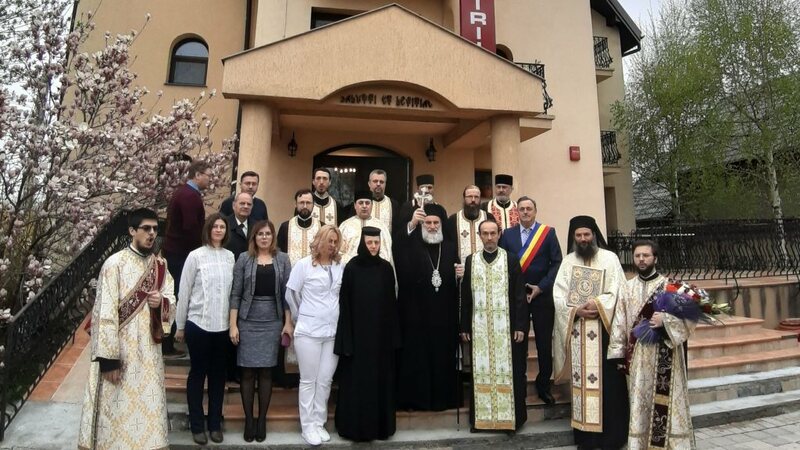 His father, Gheorghe Constantin Luchian, was a deacon at the village church and his mother, Ecaterina Manase, became a nun later on, by the name of Elisabeth. The two spouses had no children for quite a long time, but, at last, their prayers were heard and God gave them a baby whom the mother gave birth to with no pain. He received at baptism the name Alexander. We know that child Alexander used to catch venomous snakes with his little hands and to everybody’s surprise and fear they did not hurt him. He attended the school village. Before finishing his school, his father fell asleep into the Lord. Orphan now, he had to learn how to bind books in order to contribute to the income of his family. When he was 20 years old, suddenly, he was seized by a miraculous light which filled his heart with great joy. After this divine revelation Alexander left his parents’ house and went to Neamţ Monastery, but the abbot did not receive him. Therefore, he went to Brazi Skete, in Vrancea county, where he was admitted as novice and where he had the opportunity to witness the discovering of the relics of Saint Hierarch Martyr Theodosius II, metropolitan of Moldavia, founder of the skete, who died a martyr’s death, killed by the Tatars (celebrated on 22 September). 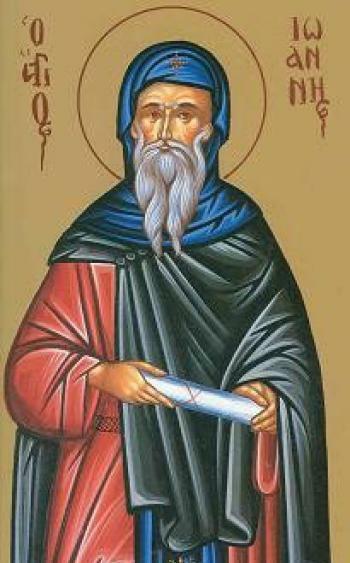 While at Brazi Skete, brother Alexander learned obedience and the prayer of the mind from father confessor and abbot Dimitrios, who tonsured him as a rassaphore and called him Alipie. Then, after two years of discipleship, having seen his spiritual endeavour, he gave him the blessing to go to the Holy Mount Athos to live a more intense spiritual life. Rassaphore Alipie spent some time at Căldăruşani Monastery, where Saint Paisios’ traditions were observed, inherited through the disciples of the late abbot George (celebrated on 3 December). Here he learned the teachings of the fathers, strictly practicing prayer, fasting and obedience as it is required of those willing to live a monastic life. Hence he left for Mount Athos and settled at Lacu Skete, where many Romanian monks were living, a monastic place known for the strictness of the monks’ life. He received nothing from the skete necessary for his life and took shelter in a half ruined cell. But there he found an icon of the Mother of God, darkened by time, which he took to the famous painter Paisios asking him to clean it. Soon afterwards the icon was returned to him completely new, the painter assuring him that it was a miraculous thing to look like that after a simple cleaning. It was the miracle worker icon of the Mother of God which healed many sick people and which Saint Antipas kept all his life. At present, this icon is at Valaam Monastery, in Finland. Then, he lived at the Athonite Esfigmenou Monastery for four years, in the North of the Holy Mount, helped so much by the Moldavian princes, as well as by the family of the great metropolitan Veniamin Costachi (1803-1842). While he was living at that monastery he received the Great Schema, becoming schemamonk Antipas. He seemed to have also been ordained hierodeacon and hieromonk while he was at that monastery. Then, he lived in a cell which he rebuilt. 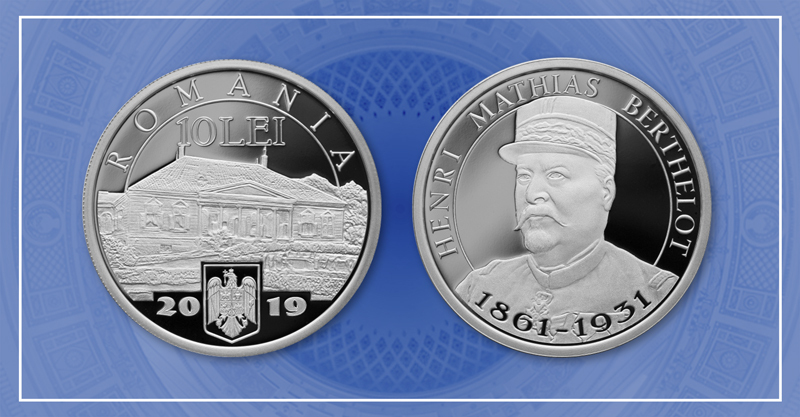 In 1860, after 20 years spent at the Holy Mount, pious schemamonk Antipas came back to Moldavia, at the request and urge of two Moldavian monks who were living at Athos, Niphon and Nektarios, who had begun to build Prodromou Romanian Skete. Pious Antipas was asked to go to Moldavia to bring back aid for finishing their settlement. He lived at Bucium Skete of Iaşi, a metokion of Prodromou Skete. He became well known because many faithful came to talk with him, as he was a true example of humbleness and of real Christian love and life. After a while he was sent to Russia, for the same purpose, namely to receive aid for Prodromou Skete. 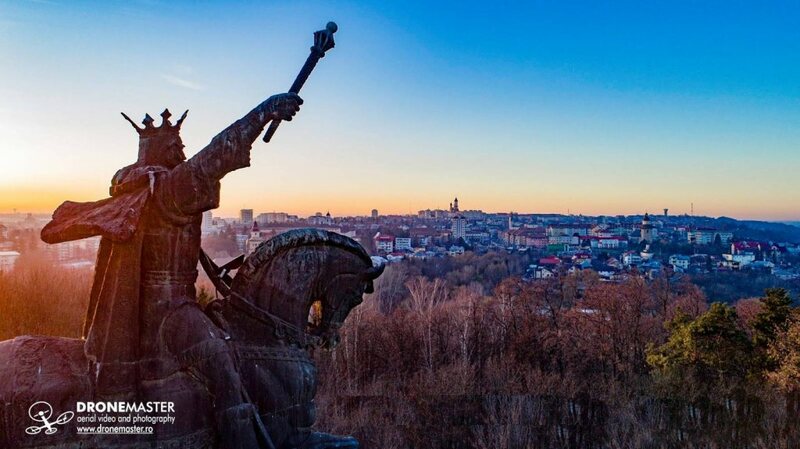 He stopped over in Kiev, to pray at the relics of the pious fathers from Pechersk Lavra and then left for Moscow and Sankt-Petersburg, where he received various help from the metropolitans of these two cities, from abbots of monasteries and faithful. 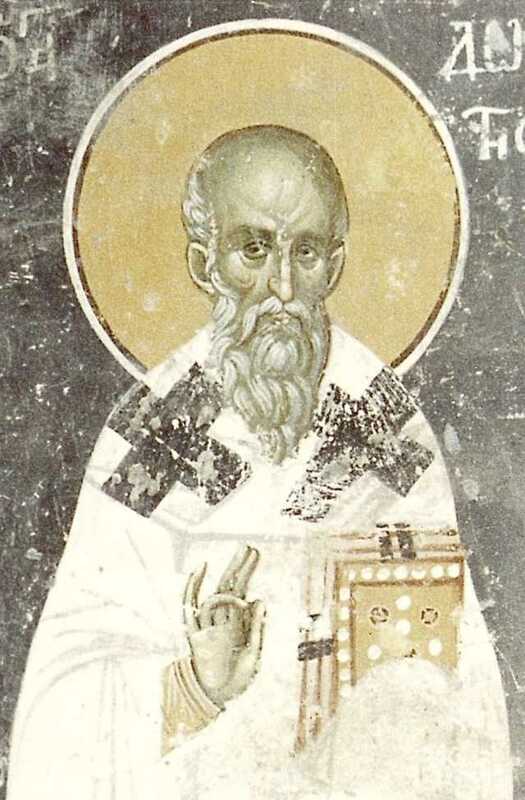 A rich correspondence of pious father Antipas with the leadership of the skete on the aid to be sent from Moldavia and Russia is preserved at Prodromou Skete. In the first year after his arrival in Russia, he visited Valaam Monastery, situated on an island of Ladoga Lake, close to Finland, which impressed him so much. Then, after sending the aid to Prodromou Skete, in November 1865, he settled at the skete dedicated to “The All Saints”, near Valaam Monastery, where the Athonite life was observed. There he continued his spiritual endeavours trying to be useful to the community which had adopted him. The Paisian traditions were known there too, because some of the monks had been disciples of the great abbot Paisios from Neamţ. He had neither bed nor chair in his cell. 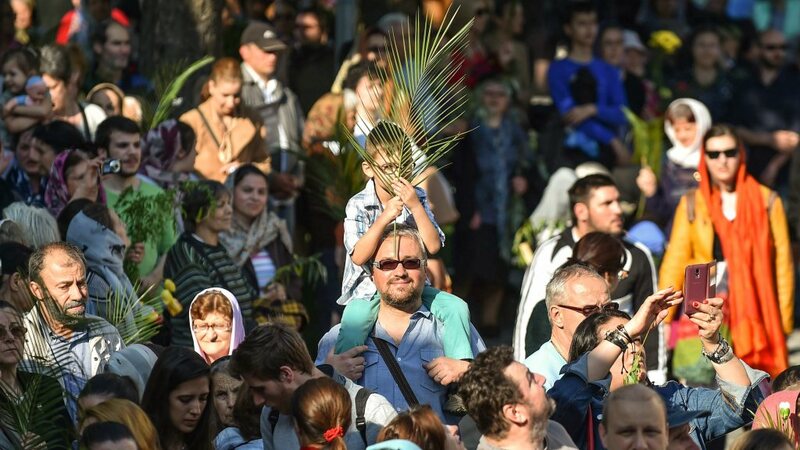 Every Monday, Wednesday and Friday, as well as on the first week of the Lent he never ate or drank anything, and on the other days he ate only the food he received Saturday for lunch. During his anchorite life he accomplished several monastic missions and received the gift of spiritual vision. He knew the hidden thoughts of humans and advised many of them on their way to salvation. This is why he was known as a great spiritual father and skilful teacher of the prayer of the heart. His name was known both in Karelia and in the North of Russia and that is why many monks and faithful who loved God came to him and followed his teachings. Saint Antipas knew the time of his death three days before, when the miracle working icon of the Mother of God raised up in the air with noise and then lay down on the saint’s chest. Three days later, on 10 January 1882, while his disciple was reading him the Akathistos of the Mother of God, Saint Antipas passed away in peace, in his cell at Valaam, at the age of 66. He was buried in the cemetery of the monastery’s community, far from his homeland, but always thinking of it. Having been known and respected by all people for his worthiness, one of his disciples, hieromonk Pimen, wrote his life which was printed next year at Saint Petersburg, in Russian, entitled: The Worth of Remembering Life of Hieroskemamonk Antipas. The Saint’s relics spreading a wonderful fragrance were discovered on 14 May 1991 and laid in the church of “Saints Sergius and Herman” at Valaam, where they are preserved until today. In 1906, 24 years after the falling asleep into the Lord of pious Antipas, the Russian monks of “Saint Panteleimon”, from the Holy Mount Athos, enlisted him in the Russian menaion, on 10 January. In 1992, the Holy Synod of the Romanian Orthodox Church included him in the calendar, to be celebrated on the day of his falling asleep into the Lord, namely on 10 January. 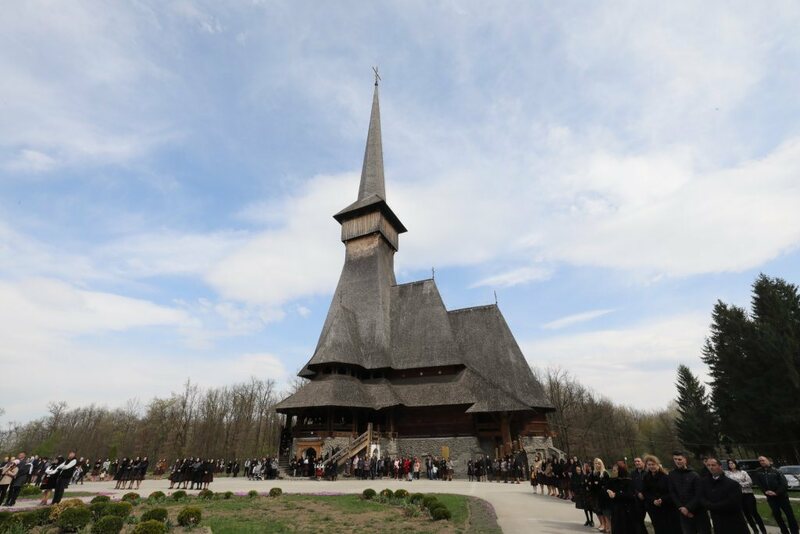 Particles of his relics are preserved now for veneration at Christiana Monastery of Bucharest, at Calapodești Monastery, at Prodromou Romanian Skete of Mount Athos, as well as in some other holy places of worship. 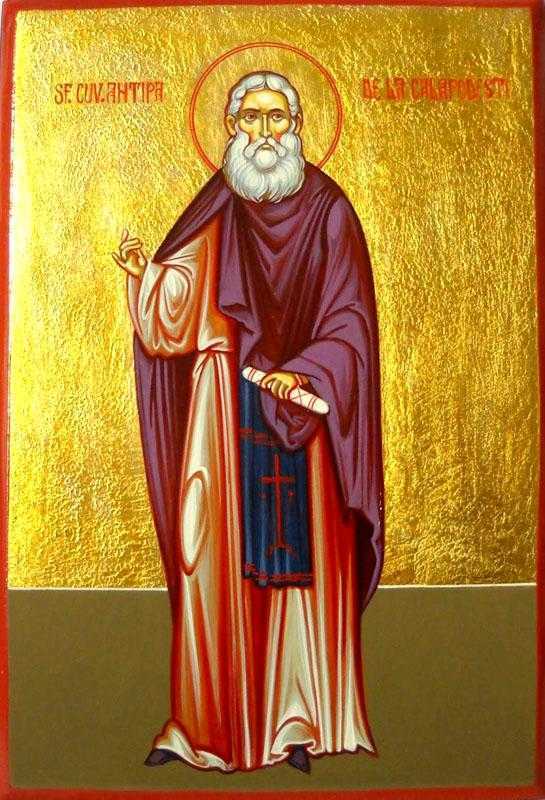 You have shown yourself a most wise adviser of monastics and an earthly angel, Saint Pious Father Antipas, taming your body by dispassion and enlightening the hearts of the faithful by the brightness of your virtues. Therefore, you have made yourself a most honourable dwelling of the Holy Spirit, and in Heaven you have received the reward of your toils from God, Whom entreat to grant us great mercy. Saint Dometian, Bishop of Melitene, was born and lived during the sixth century, in the time of the emperor Justin the Younger. He was married but was widowed, and thereafter he became a monk and lived a strict and holy life. 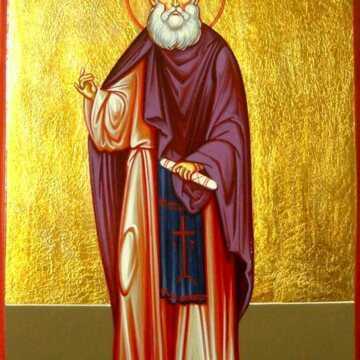 At thirty years of age he was chosen bishop of the city of Melitene (in Armenia). Wise and zealous in questions of faith, strong in word and deed, Saint Dometian quickly gained fame as a good and dedicated pastor. More than once he carried out government commissions in Persia to avoid conflict with the Greeks. 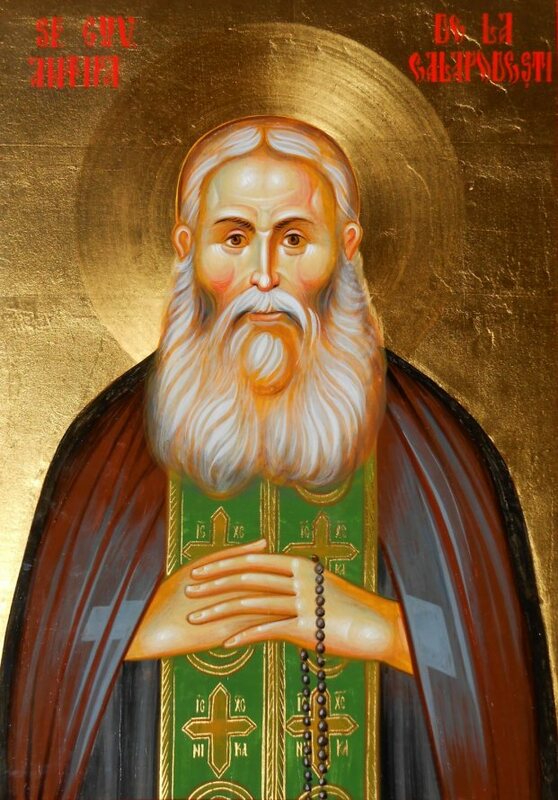 Beloved by all, Saint Dometian often received rich gifts, which he distributed to the poor. Both during his life and after his death in 601, Saint Dometian was glorified by God with miracles.